Dr. Palmer is a member of the American Dental Association, the Michigan Dental Association, the West Michigan District Dental Society, and serve on the board for Dental Programs at Grand Rapids Community College. 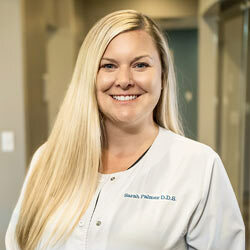 Dr. Palmer has been married to her husband Jon since 1999, and has three children: Gabriella, Carson and Olivia. 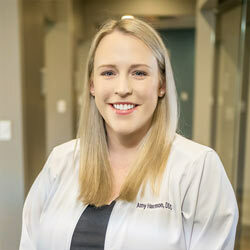 Dr. Amy Harmon grew up in Grand Rapids, MI where she attended Catholic Central High School. She then continued on as a member of the women’s tennis team at The University of Detroit Mercy. Dr. Harmon obtained her dental degree in 2012 from Marquette University in Milwaukee, WI. Dr. Harmon is a member of the American Dental Association as well as the Michigan Dental Association. She enjoys spending time with her family and friends, renovating and decorating her home, and cheering on the Irish! Dr. Harmon has been married to her husband Tim since June of 2017. 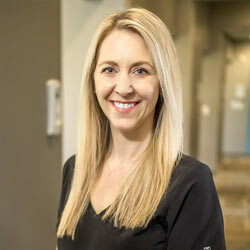 Jane has been a Dental Assistant for the past 17 years and really enjoys it. She is now working the front desk with her warm, welcoming smile and sweet, bubbly personality. Jane is married and has two daughters and three step sons. She loves spending time with her family and traveling. Angie recently graduated from Grand Rapids Community College and is a Registered Dental Assistant. She loves assisting and helping people get the smile they love. Angie is married and has two sons. She enjoys watching them play sports and spending time together as a family. Born in Mexico, Kenny was raised in the mountains of western North Carolina. She earned her first Bachelor’s degree in Biological Sciences from North Carolina State University before completing her second Bachelor’s degree in Dental Hygiene at UNC Chapel Hill. 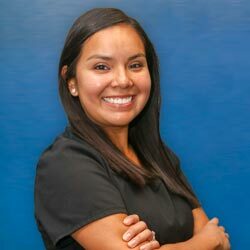 She is fluent in both Spanish and English and loves being able to speak with patients from different countries and backgrounds. She moved to Grand Rapids in 2015 and holds her licensure in both states. She loves running, dancing, and traveling with her husband. Jennie was born and raised in Western Michigan and graduated from GRCC in 2005. She is licensed in local anesthesia and nitrous oxide administration. She loves working with children and enjoys making patients of all ages laugh and smile! Outside of dentistry, her passion is cooking for her husband and two young step sons. She also plays volleyball in her spare time. 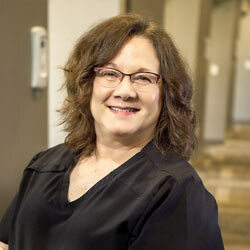 Jodi has worked in the dental field for over 30 years. She has done it all from assisting to front desk administration and insurance claim work. She loves spending time with family, friends, and her husband. She loves walking her 3 dogs, camping, and kickboxing! 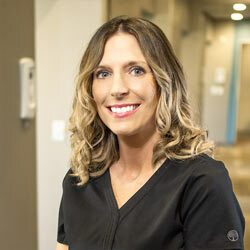 Kacie graduated with her degree in Dental Hygiene from Ferris States University over ten years ago and is licensed in nitrous oxide and local anesthesia. She is married with two young daughters. 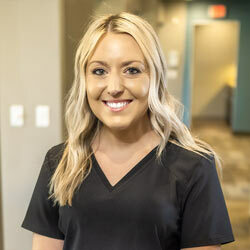 Kacie works at our office one day a week, and the other days are spent as the Dental Health Coordinator in Ottawa County, specializing in their preventative sealant grant program. 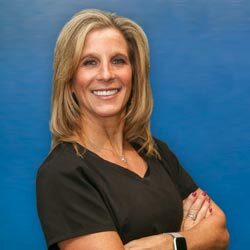 Karen graduated from Ferris State University in 1977 with her degree as a Dental Assistant, and then in 1979 received her Dental Hygiene Degree. She is also certified in nitrous oxide and local anesthesia administration. 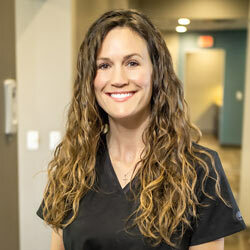 Karen is great with patients of all ages and loves making her patients feel at ease. Karen is married and raised three daughters in Grandville. She enjoys reading, photography, knitting and being outdoors. 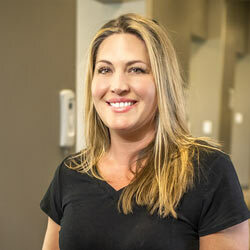 Shelly has been a Dental Assistant for over 15 years. She has grown up in the Grandville area her entire life and attained a degree from Ferris State University. Shelly has one son and enjoys spending time with her family and friends, working out, and camping. 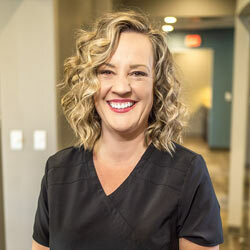 Stacy has been a certified Dental Assistant for 12 years. She loves assisting and making people smile! She is married with three kids and loves spending her free time enjoying her family and watching them grow. As a front office administrator, I enjoy getting to know each patient. Providing great customer service and helping patients with all of their insurance and scheduling needs are my goals at Sarah Palmer DDS. When I am not working, I enjoy spending time with my son, Jaxon. I also enjoy outdoor activities and spending time with my family and friends. 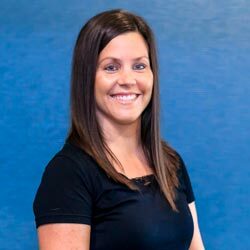 Raised in a quiet small town in Northern Michigan, Angie moved to Grand Rapids in 1994 to attend Dental Hygiene school and never left. 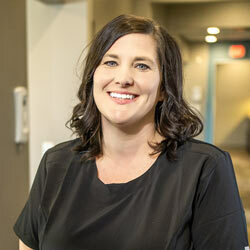 She eventually settled in Grandville in 2006 to raise her family, and came to Dr. Palmer's office in 2018 with 20 years of dental hygiene experience. When not at work, Angie manages a bustling family of five. With three kids and two dogs there is always something going on! She enjoys health and fitness and in her spare time (what spare time!?) she enjoys running, golfing and teaching fitness classes.